An important component of an innovation ecosystem is the available local research and development assets. 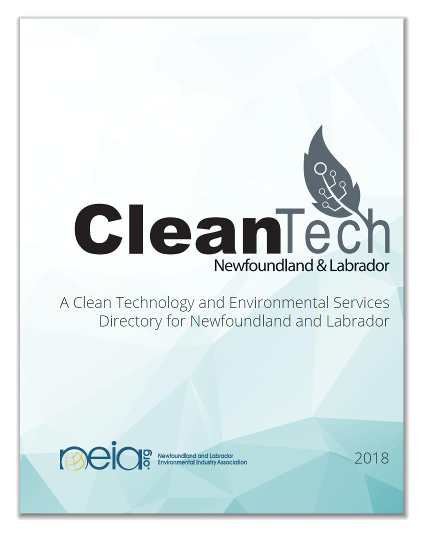 The Clean Technology and Environmental Services Directory catalogues the relevant R&D resources with the intent to quantify the province’s capabilities related to research and clean technology. AFRED is an open access, online, searchable database designed to increase the use of specialized research infrastructure in the region by connecting potential users with the facilities that host the equipment. The purpose of this tool is to promote increased interaction between industry, SMEs, researchers, and others involved in R&D in the region, and to provide a starting point for the development of collaborations regionally, nationally, and internationally. The Bonne Bay Marine Station hosts and supports research, community-engaged research, and training in the social and natural sciences, with a focus on west coast Newfoundland communities and the Northern Gulf of St. Lawrence. The station offers researchers a first-rate facility for marine ecosystem research. This 500 square-metre facility provides high-level research resources to support federal, provincial, university, and private sector research priorities in forestry, agriculture and the environmental sector. With its 3 interconnected analytical research laboratories and state-of-the-art field equipment, this facility builds capacity in analytical research with a focus on soils, plants, air and water. C-CORE is a Canadian research and development (R&D) corporation that creates value in the private and public sectors by undertaking applied research and development, generating knowledge, developing technology solutions and driving innovation. C-CORE is a multi-disciplinary R&D organization with world-leading capability in Remote Sensing, Ice Engineering, Oil Spill Response, and Geotechnical Engineering. C-CORE’s facilities include state-of-the-art laboratories, highspeed computing facilities, superior commercial and custom software packages, radar systems and other specialized technologies. The CCFI gives the fishing, seafood and aquaculture industry easy access to the scientific and technological facilities and expertise of Memorial University in order to solve problems and take advantage of opportunities. Department of Fisheries and Land Resources Facility activities includes the production of tree seedlings, fruit and vegetable crop development, bee keeping, and other research activities that advance and diversify the agriculture sector. CTec collaborates with industry and others on the development and application of technology for the practical benefit of all sectors of the maritime community. CTec undertakes applied research and development in two key areas: Ocean Mapping and Ocean Observing Systems. The CASD is a comprehensive industrial response unit, internationally recognized for its applied scientific and technical expertise, comprehensive research facilities, and commitment to clients in the seafood processing and aquaculture industries. The Centre focuses on three main theme areas: seafood processing; aquaculture; and marine bioprocessing. Facilities include a 1,100 square metre state-of-the-art food processing pilot plant, an aquaculture facility and a marine bioprocessing facility. The goal of the CFER is to better understand fish stocks and the productivity of Newfoundland and Labrador’s marine ecosystem through fisheries research. Specifically, CFER’s mandate is to: focus research on Newfoundland and Labrador fisheries and the sustainability of stocks; offer research and training opportunities to graduate students both locally and internationally; collaborate with the Department of Fisheries and Aquaculture and Fisheries and Oceans Canada for research activities and fisheries management; and collaborate with other researchers and institutions within Canada and worldwide. The CSFI is responsible for the development of forest related research programs and science capacity consistent with themes of the Provincial Sustainable Forest Management Strategy and other guiding documents. Research themes under the ecological direction include forest disturbance, climate change, ecosystem dynamics, biodiversity and water. Research areas currently include: transformations of bio-sourced molecules using alternative solvents and catalysts; new iron based catalyst systems; use of carbon dioxide as a solvent and as a reagent; and recyclable catalyst systems. The CMS combines its unique North Atlantic location, world-class simulation technology, and industry-driven expertise to solve the toughest simulation problems for its clients. As a centre of excellence, CMS responds to a variety of requests ranging from ship manoeuvring and procedural trials, performance examination and improvements, and customized training to operational efficiency reviews, marine equipment testing, and port design evaluation. Its clients are globally based and come from a variety of maritime sectors: commercial shipping, oil and gas, port operations, civil engineering, environmental, marine policy and regulation and more. CDRF at the Ocean Sciences Centre provides researchers with access to state of the art infrastructure and equipment for the study of aquatic organisms, especially those from the cold waters of the Arctic and North Atlantic oceans. The CREAIT Network is designed to maximize the impact of Memorial University’s institutional investments in research through enhanced access to and utilization of major research equipment. Duties of the CREAIT Network include: training faculty and students in the use of core research equipment; assisting faculty with major equipment acquisitions; maintaining and operating major research equipment and facilities; and promoting the development of new research partnerships with private sector users by (1) providing access to core research equipment on a cost-recovery basis, and (2) facilitating collaboration with faculty and researchers within the university. JBARB provides state-of-the-art facilities and world class staff with expertise to support research, training, pre-commercial production, and small scale commercial trials in marine aquaculture. The mission of the DTL is to investigate and develop technologies and processes for drilling and related activities, targeting oil and gas, mining, construction and environmental industries. Focuses of the environmental laboratory include biodegradation of contaminants, waste water treatment technologies, determination of organic and inorganic contamination in soil and water, air and water quality monitoring, and exhaust gas emission analysis. The EPI is dedicated to excellence in research, teaching and learning and public engagement on environmental policy issues in Newfoundland and Labrador, in Canada, and internationally. EPI’s activities include analyzing current environmental policies, exploring innovative solutions, and conducting, co-ordinating and disseminating research widely to both academic and general public audiences and developing provincial capacity in environmental policy. The fluids and hydraulics laboratory is dedicated to fluid related teaching and research activities. Its tow tank provides a unique capability to study the hydrodynamic effects of vessels, moorings, wharves, vortex induced vibrations and other related marine structures and interactions. It is also home to a fast rescue craft simulator that simulates harsh ocean environments in a controlled setting, an open-channel flume tank, a deep tank for pressure testing, an erosion table, and a multi-phase flow loop. Possessing the world’s largest flume tank, this facility is used to carry out performance evaluations, gear tests and other observations on newly developed or existing fishing gears and other related equipment in simulated underwater and near surface conditions. The Holyrood Marine Base supports at-sea research and training priorities of the Marine Institute and the broader Memorial University community. These priorities are primarily related to ocean science, ocean technology, fish harvesting technology, fish handling methods, aquaculture and the marine ecosystem. Using CAD design, 3D laser scanning, 3D printing in ABS plastics, rapid prototyping, and injection moulding for prototype production, the centre helps companies with research and design tasks, production of prototypes, and early stage production of prototype injection moulds. Have helped create prototypes of parts destined for inclusion in all types of products, from coffee makers, to chocolate moulds, to mechanical prototypes. The Labrador Institute is a leading centre of research, education, policy, and outreach by and for the North. The Labrador Institute was established by Memorial University to stimulate, coordinate, and support major University projects and programs and to expand the Labrador knowledge base. LOOKNorth is a national Centre of Excellence for Commercialization and Research (CECR) under the Government of Canada`s Networks of Centres of Excellence (NCE) program; it is hosted by C-CORE and is dedicated to remote sensing innovation. LOOKNorth networks Canadian remote sensing innovators and provides a bridge to commercial markets through a combination of remote sensing technology and demonstration expertise, project management support, continuous engagement with end users to understand market needs, and business development support. The MTC helps companies with research, prototyping, custom training, and consultation for the manufacturing of products. Assets in an injection moulding machine, vacuum former, coordinate measuring machine, wire electrical discharge machine, computer numerical-controlled machining centres and lathes, a CO2 laser, and a full-tie technician available to assist. The Laboratory contains a state of art Laser Induced breakdown spectrometer (LIBS) for determining the elemental or mineralogical composition of materials. This includes some of the harder to determine lighter elements such as Li, Be, B, C, N, O and F. The system has the capability to produce surface and 3-D chemical variation maps of a sample. The LIBS instrument is supplemented with a Bruker portable XRF, Zeiss petrologic microscope with camera and Gas Chromatographs. Nanotechnology involves working with materials – modifying them, shaping them, and creating with them – at the nanometer level. It is science and engineering at the scale of atoms and molecules. The lab pursues research in various areas of nanotechnology such as materials characterization, amorphous semiconductors, surfactants and polymers, self assemblies, nano-photo-mechanical systems, and nonlinear optics. The NRPOP Laboratory is founded by the Canada Foundation for Innovation and the Industrial Research and Innovation Funds of the Government of NL. With a strong commitment to northern regions, this first-class laboratory aims to conduct integrated modeling and experimental research on the development of innovative investigation, simulation, control and remediation technologies that are applicable to mitigate the contamination caused by persistent organic pollutants. OERC’s objectives are to: advance ocean engineering research and technology development; promote interaction among researchers and ocean engineering technology stakeholders and the research community; foster an innovative, wealth creating research climate, technology transfer, entrepreneurship and commercialization of research; and take an active role in shaping policies in the ocean engineering, offshore engineering and the marine technology sectors. Users have access to an array of facilities, including a towing tank, a deep tank, process safety and risk engineering lab, advanced marine hydrodynamics laboratory, autonomous oceans systems laboratory, marine corrosion laboratory, a small-vessel simulator, cold room, a small-scale wind tunnel, and the marine environmental research laboratory for intelligent vehicles. NRC OCRE supports a broad cross section of industry sectors by developing creative and practical solutions to engineering challenges in rivers, lakes and marine environments. It provides expertise and tools to identify, adapt, and integrate advanced solutions into systems that improve the performance and safety of ocean, coastal, and marine operations, meet the challenges of climate change, and protect infrastructure, property and people from severe weather events and other environmental risks. An international hub for ocean research, OFI brings together experts from both sides of the North Atlantic to explore the vast potential of the ocean. OFI’s research focuses on: (1) Changes — research examines key aspects of atmosphere-ocean interaction, resulting ocean dynamics, and shifting ecosystems; (2) Solutions — research focuses on effective approaches to resource development that are sustainable, globally competitive, societally acceptable and resilient to change. The ROV simulator replicates the operations of offshore and military workclass vehicles. The control consoles are mounted in cubicles which approximate conditions on board the vessel. This laboratory is designed to support applied research and development in the area of underwater acoustics, including the design, development, testing, and calibration of underwater acoustic devices and systems such as acoustic transducers, remote sensing devices (single and multibeam sonars), acoustic modems and acoustic release mechanisms. The laboratory supports applied research and development in the area of acoustic remote sensing applications, such as fish biomass assessment and acoustic seabed classification. This group consist of chemists, biochemists, and chemical engineers working in characterizing and recovering value-added products from forestry residues (saw chips, dust and bark), fishery (fin and shell fish processing by-product), and by-products from agro/food processing. The group has a lab and pilot scale (4 kg biomass/hr) pyrolysis equipment to test different feedstocks for product quality and yield (bio-oil and biochar), a supercritical extraction system, and other green processing unit operations. The focus of the work is the development of green processes and bioproducts from biomass residues. The group also has a complete range of analytical equipment to characterize feedstock and product quality. The WERC is currently home to an NSERC Community and College Innovation – Innovation Enhancement project. This five-year project is focused on developing an economical wave powered pump to deliver water to an on-shore aquaculture farm and on developing the methods and technology necessary for a land-based multitrophic aquaculture farm. A longer-term goal is to establish a prototype – the first in Canada – for modeling commercial-scale polyculture, which would have significant potential for fish harvesters, processors and buyers, and aquaculturists. Yaffle is an application that helps connect Memorial University with the people and places around it. Yaffle is a vital part of the university’s commitment to serving the people of NL by providing a place for researchers and community partners to showcase expertise, research and publicly engaged activities in an open and accessible way. Yaffle also helps tackle real-world problems facing individuals, groups, and communities today by brokering collaboration opportunities to expertise either online or through the facilitation of knowledge brokers at the university.